We have touring bikes (hybrid type) and mountain bikes, with 18, 21 or 24 gears. Adult bikes have rear carrier racks and we supply elastic bungies to hold your day bag on. Free safety helmets available, but many customers bring their own. Daily rates vary from £10.00 to £12.50 per day depending on the type of bike chosen. Pannier bags available at extra cost. 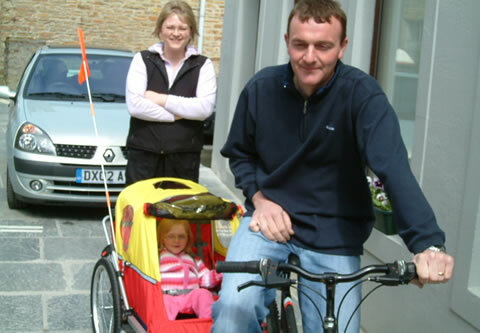 Delivery or collection of bikes to and from your holiday accommodation can be arranged. If you have any special requirements, do not hesitate to ask. We will make every attempt to accommodate all reasonable requests hoping to make your stay in Orkney that bit SPECIAL!